MONTRÉAL – Montreal Canadiens general manager Marc Bergevin, announced Thursday the appointment of Kirk Muller as associate coach with the Club. “We are very pleased to announce the appointment of Kirk Muller, and are extremely happy about his desire to return to the Canadiens’ organization. Kirk brings a great deal of experience, determination and leadership, and I have no doubt that these qualities will be essential for our coaching staff. Kirk has a thorough knowledge of the Montreal market, he enjoyed success as a player, and as captain of the Canadiens, and these assets will certainly contribute to the success of our team”, said Canadiens general manager Marc Bergevin. Kirk Muller, 50, has three decades of experience in the NHL, including the past ten seasons as a coach. He worked over 600 games as an assistant coach, and 187 games as head coach in the league. For the past two seasons (2014 to 2016), Muller was an assistant coach with the St. Louis Blues, having reached the Western Conference Finals in 2016. In the previous three seasons (2011 to 2014), the Kingston, Ontario native was the head coach of the Carolina Hurricanes where he posted a record of 80-80-27 in 187 regular season games. He took over for Paul Maurice on November 28, 2011, after beginning the 2011-12 season as head coach of the AHL Milwaukee Admirals. 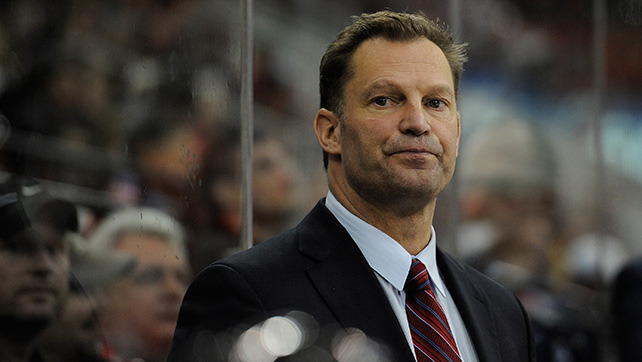 Kirk Muller joined the Canadiens’ organization on June 20, 2006 as assistant coach. He was part of the coaching staff for five seasons (2006 to 2011). The Canadiens qualified for the post season during the past four seasons of Kirk’s tenure with the team (42 playoff games). During the 2005-06 season, Muller was the head coach of the Queen’s University Golden Gaels of the Ontario University Athletics (Kingston). Selected second overall (behind Mario Lemieux) by New Jersey in 1984, Muller spent 19 seasons in the NHL. The left winger played in 1,349 regular season games, registered 959 points (357 goals, 602 assists) and served 1,223 penalty minutes. He added 69 points in 127 playoff games (33 goals, 36 assists). Muller spent four seasons as a player with the Canadiens from 1991 to 1995, recording 247 points in 267 games (104 goals, 143 assists). He was a member of the 1993 Stanley Cup Championship team, following a career high 94-point season. He was named the Canadiens captain during the 1994-95 season. On the international stage, Muller was a member of the Canadian National Team at the 1984 Olympic Games in Sarajevo, the 1984 World Junior Championships, as well as the IIHF World Championships in 1985, 1986, 1987 and 1989. Muller officially announced his retirement as a player on September 2, 2003.